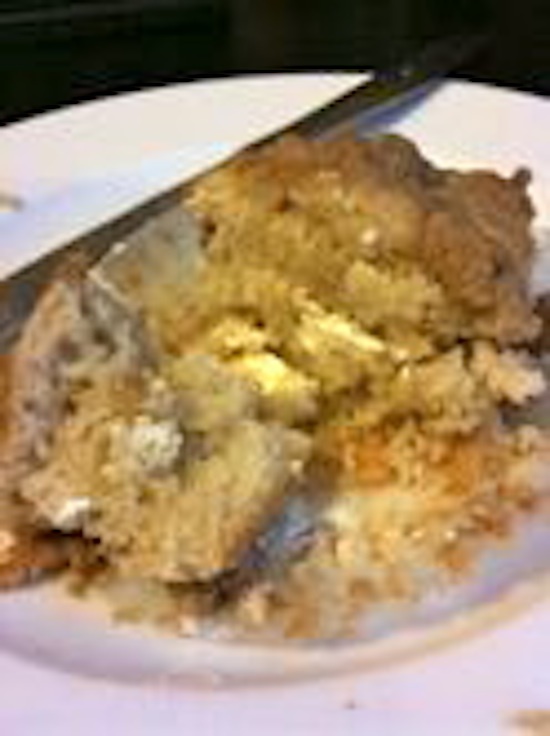 Allspice Crumb Muffins, were SOOOOO good, once again, something my wonderful husband wont try, but whatever, I don’t feel any guilt eating them all for myself!! ~Center a rack in the oven and preheat the oven to 375 degrees F. Butter or spray the 12 molds in a regular-size muffin pan or fit the molds with paper cups. Alternatively, use a silicone muffin pan which needs neither greasing nor paper cups. Place the muffin pan on a baking sheet. ~To Make the Muffins: In a large bowl, whisk together the flour, sugar, baking powder, allspice and salt. Stir in the brown sugar, making certain there are no lumps. In a large glass measuring cup or another bowl, whisk the melted butter, eggs, milk, and vanilla extract together until well combined. Pour the liquid ingredients over the dry ingredients and, with the whisk or a rubber spatula, gently but quickly stir to blend. Don’t worry about being thorough–the batter will be lumpy, and that is just the way it should be. Stir in the lemon zest, if you’re using it. ~Divide the batter evenly among the muffin cups. 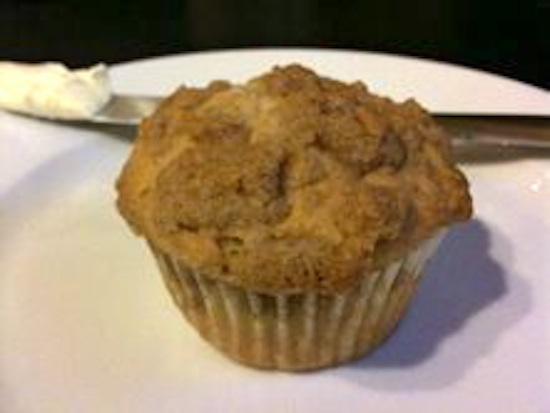 Sprinkle some streusel over each muffin, then use your fingertips to gently press the crumbs into the batter. ~Bake for about 20 minutes, or until the tops are golden and a thin knife inserted into the center of the muffins comes out clean. Transfer the pan to a rack and cool for 5 minutes before carefully removing each muffin from its mold. The deliciousness going on inside with melted butter! Categories: Baking, Muffins | Tags: allspice, cupcake, muffin | Permalink. Born in small town South Dakota, raised in Sin City Las Vegas, now living in Mile High Denver...life is my adventure and I'm sharing it here, one project, one recipe, one day at a time.